Note: This is our updated 2019 buyer's guide. Whether you are road racing, doing a track day, running autocross, driving circle track or participating in High-Performance Driver Education, you need a helmet. But it can be confusing when it comes to actually buying one. There are a lot of choices and sometimes the differences aren’t obvious. To give you some help, we recently reviewed 59 helmets from Bell, Simpson, Stilo, Black Armor, HJC, Roux, Schuberth, GForce, Arai, and Zamp. That isn't every helmet on the market, but it is close. We found when testing factors like features, style, weight, fit and price that there were models that stood out. We’ve picked 10 helmets that cover a range of prices and are the ones we would start with when shopping. You may find that a given helmet doesn’t have the ideal fit or is missing a feature that is critical for you, but at least you have a way to make your selection process more focused. You can buy any of these auto racing helmets in our helmet superstore. All the helmets in the top 10 list below are HANS compatible and Snell SA 2015 rated. 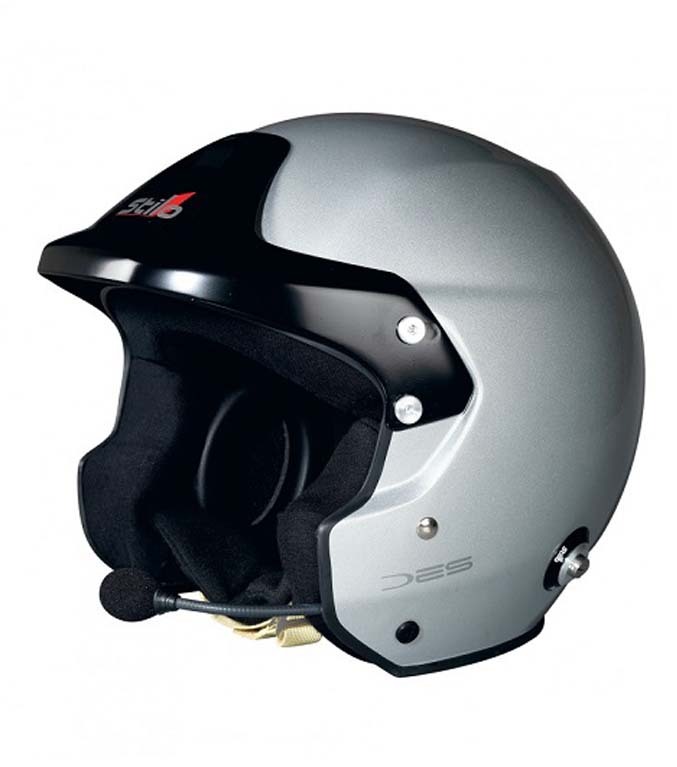 The HJC AR-10 III is a very nicely finished helmet that is offered at an attractive price. The helmet shape and padding make it suitable for many people. The big thing is that many entry-level helmets seem to have odd shapes that make them uncomfortable for most drivers, but HJC has actually paid attention to real head shapes (they've targeted the mid-oval head shape, which covers a lot of ground). Available in white and matte black. Shop all HJC helmets. Helmet fit is among the most important things, especially if you are in the car for long periods (e.g. ChampCar or WRL). The Simpson Composite Devil Ray has a much more rounded shell design that, when combined with carefully considered pad shapes, makes for a helmet that many people with mid-oval head shapes find unusually comfortable. In addition, the Simpson Devil Ray can be adapted to accommodate in-helmet communications. These are high-end features without the high-end price. Available in black or white. 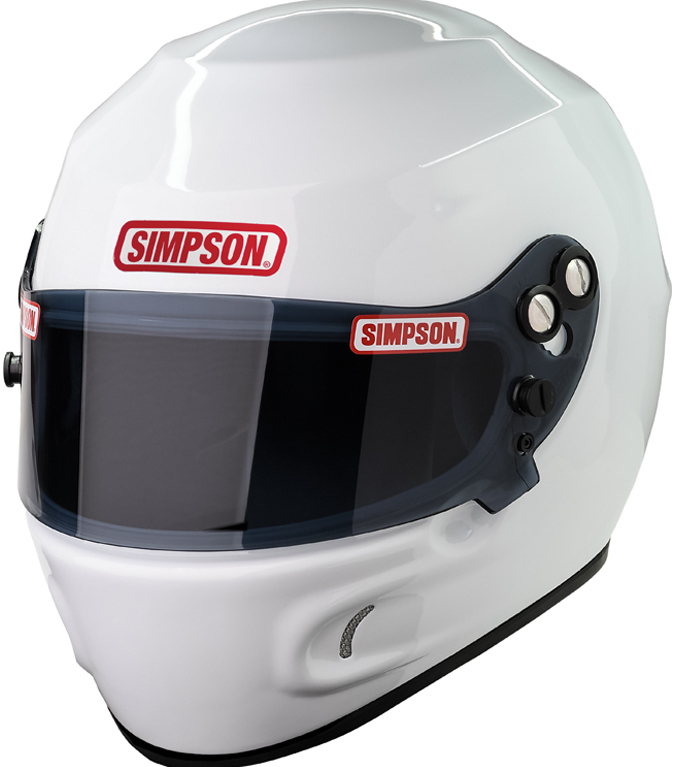 Shop all Simpson helmets. 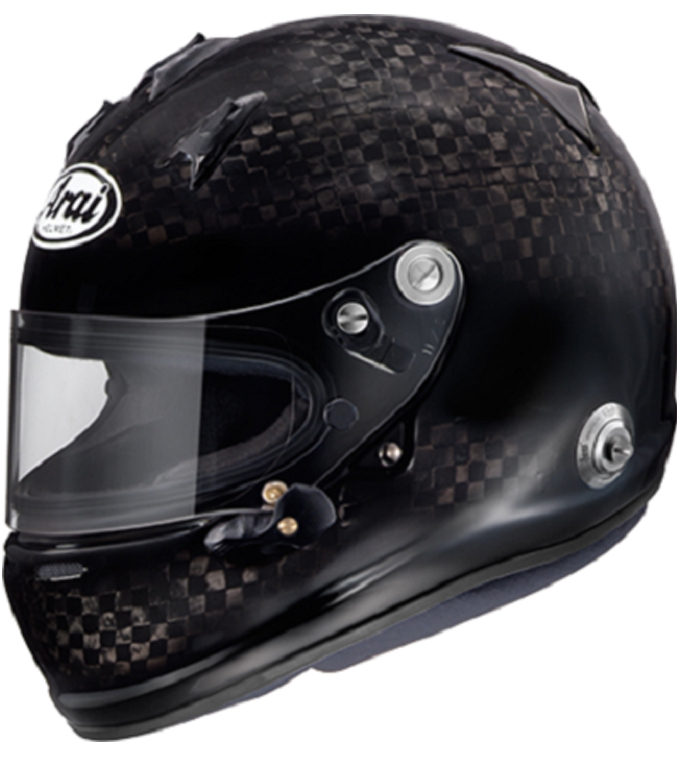 You know you want a carbon fiber helmet, but you don't want the typical carbon fiber price. 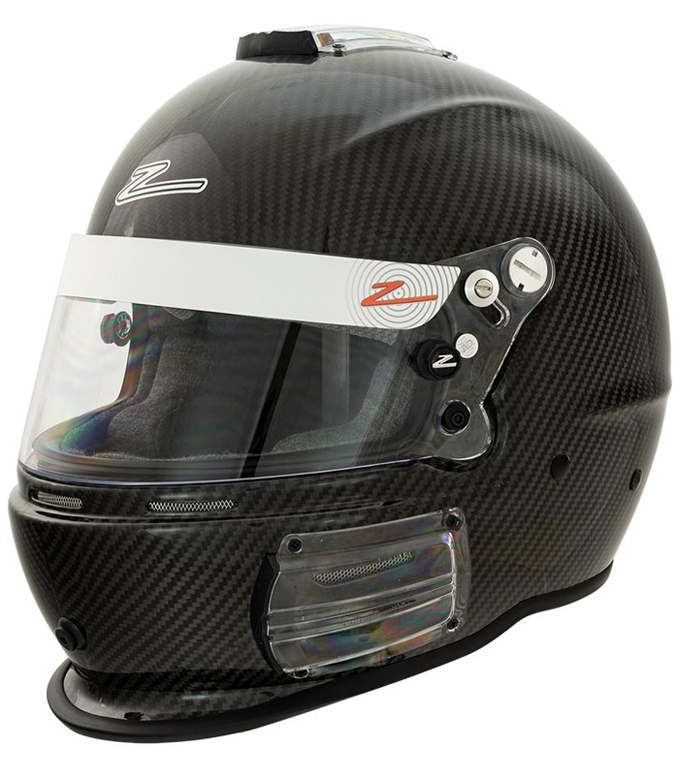 Zamp has your back, with an entry-level carbon fiber helmet at price more typically associated with composite helmets. The RZ-44CE is offered with a clear coat finish or with several paint schemes for a pro look. 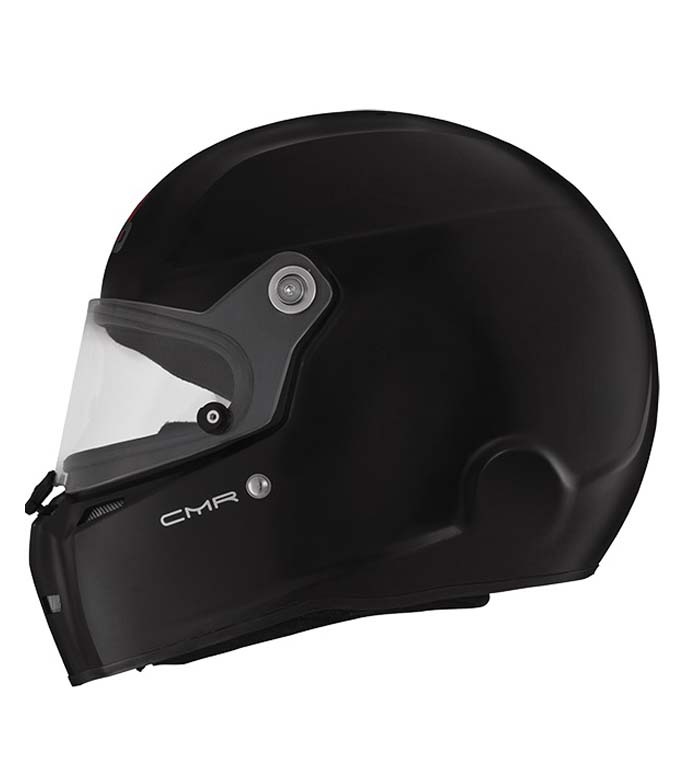 The RZ-44CE has a reasonable shell shape for long oval heads and can be adapted to different race conditions with Zamp's various shields. Shop all Zamp helmets. 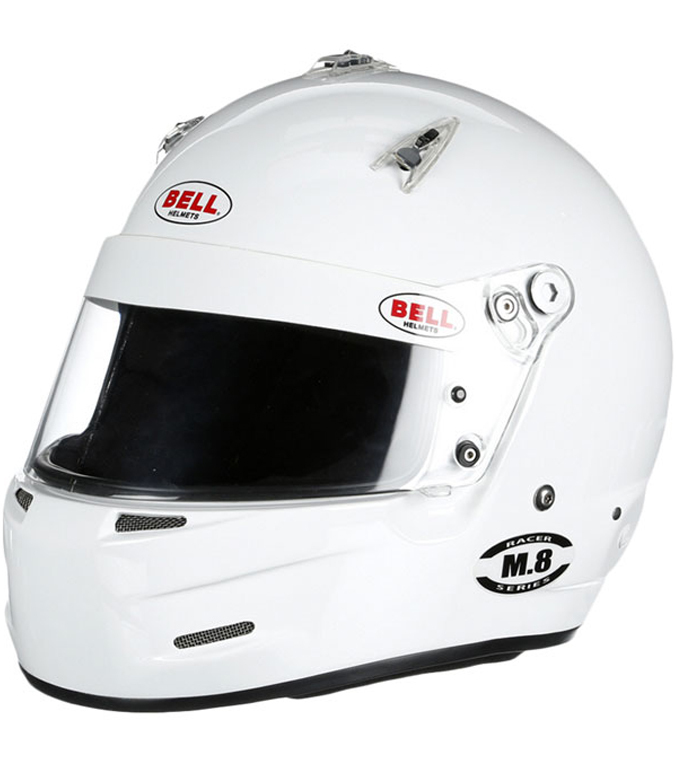 Bell's new helmets are generally the lightest available at their price points and that is true of the M8 composite. We say the M8 offers "carbon weight at a composite price" but actually the M8 weighs less than many affordable carbon helmets. Shop all Bell Racing helmets. The Stilo ST5 offers the widest range of optional features in this price range or even higher prices (except for other Stilos). The ST5 can be configured with a built-in radio connector and mic (usable with earbuds or with built-in headphones), a hydration port and top air (side air is also possible but then you can’t have both comms and hydration). There is an optional eject bladder for safety workers to use to remove the helmet. Most testers liked the distinctive shell shape which is wrapped in an attractive finish. 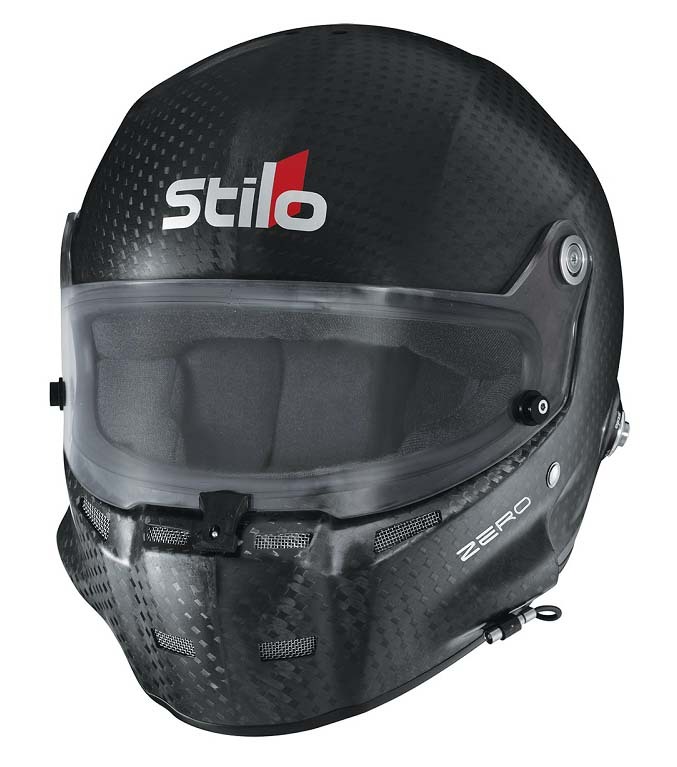 And Stilo offers a wide range of full and half-visors, plus a peak visor. The ST5 is designed for closed cockpit cars and has a medium eyeport. Shop all Stilo helmets. 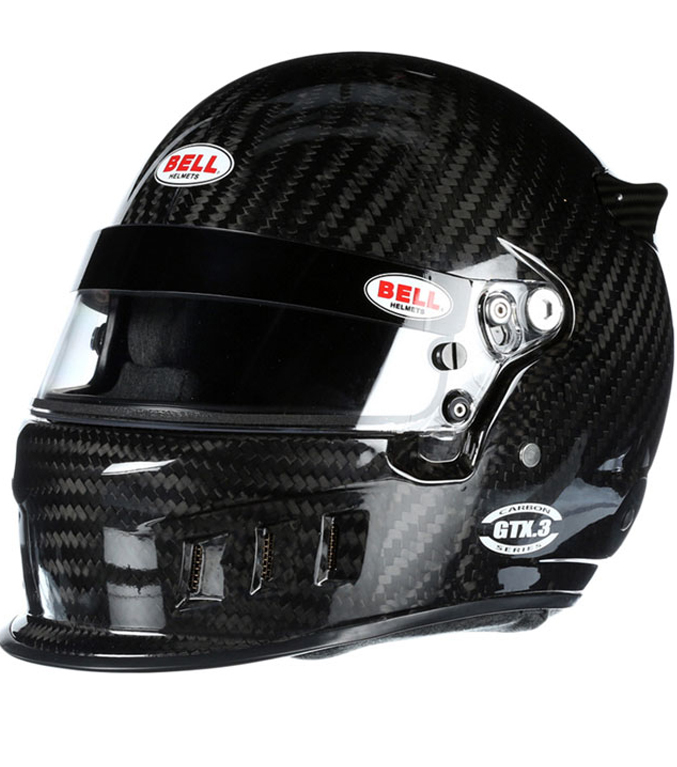 The Bell GTX.3 Carbon Fiber helmet blends legendary Bell quality with a lightweight carbon fiber shell at an attractive price. Bell has added some secret sauce, too, in the form of super soft interior padding. Honestly, the padding feels a lot like flannel pajamas wrapped around a down comforter -- amazing! While we like to note that the Bell shell shape isn't for everyone, the new padding material helps the GTX.3 work for more drivers than ever. The GTX.3 has aero parts built in, making it suitable for formula cars and open-top sports racers; if you don't need those features, look at the M8 Carbon which is very similar but without aero aids for $50 less. Shop all Bell Racing helmets. 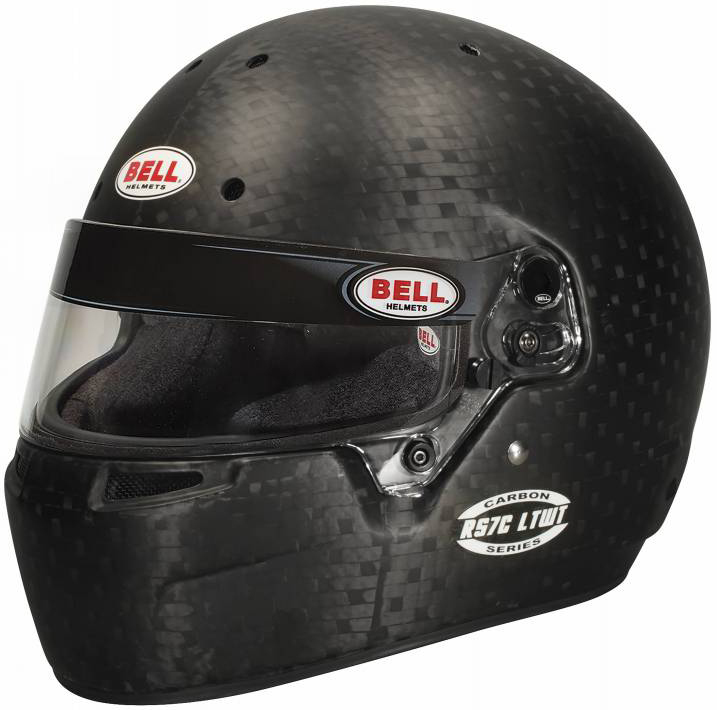 If you want a carbon helmet that minimizes weight, Bell has an excellent choice in the RS7C LTWT. Designed in collaboration with Penske Racing, the RS7C LTWT was built for NASCAR with a goal of lower weight for long distances and improved airflow in a closed cockpit. Those needs apply to sports car racing as well, making this a great helmet for everyone pulling significant G's and running over 30 minutes at a time. Penske didn't need an FIA 8860 rating, so the price of the RS7C LTWT is notably lower than it is for similarly engineered helmets. Further demonstrating its flexible applications, the RS7C LTWT allows the addition of top air and aero aids. And, like most other Bell helmets, it features a "pajama soft" padding. Shop all Bell Racing helmets. The ST5 GT 8860 offers everything we love about the ST5 GT composite: optional comms port/mic, hydration port, forced air, and high comfort. It adds FIA 8860 certification and subtracts some weight. 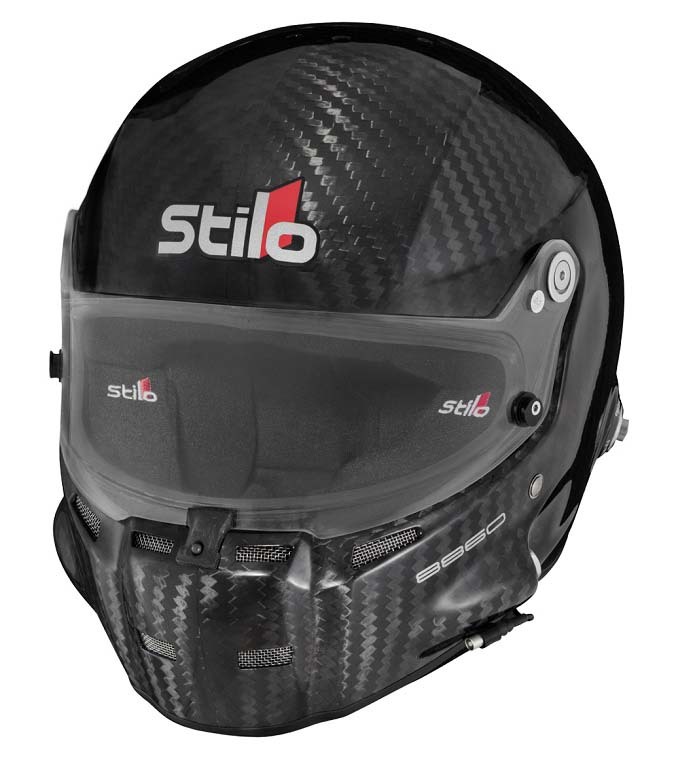 Plus the snazzy Stilo design looks especially cool in a carbon weave. That shape is one that almost all drivers find acceptably comfortable. Shop all Stilo helmets. Only one helmet can be the most comfortable and for the largest group of people, this is it. Arai helmets have a special shape that a lot of people love, optimized as they are for mid-oval heads. Combine that with low carbon weight, Arai's excellent fit and finish and a reasonable price among 8860 offerings and you have a top choice among pro drivers in IMSA, Pirelli World Challenge, and F1. Shop all Arai helmets. If you want it all, this is probably the helmet to have. The feature list is impressive: Communications standard, with headphones optional; Optional hydration port; Optional forced air; Optional eject bladder; FIA 8860 rated and yet among the lightest helmets we've tested; Comfortable for many users; Wide array of visors and peaks; Wide eyeport. ; Aerodynamics kit included. Shop all Stilo helmets. 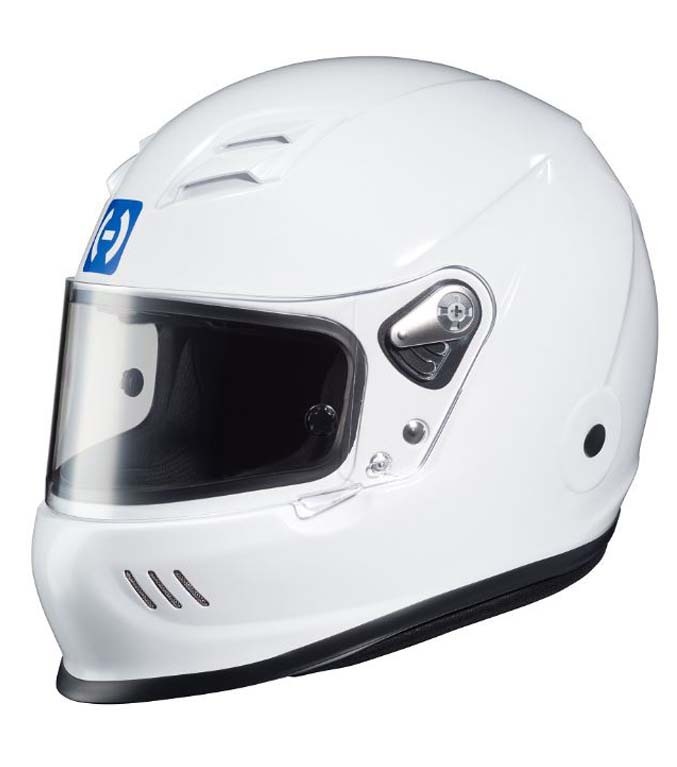 This is normally thought of as a rally helmet, but we also recommend it for HPDE and track day use. The open face and built-in mic make it ideal for student-instructor communications. HPDE and rally helmets must meet some special requirements. First, you need a helmet set up for communications because electronic driver to co-driver/instructor communication is absolutely essential. Second, you want an open-face helmet in case the electronic system breaks down mid-stage (this can be handy for transits, too). Trust us, in a rally or race car you pretty much can't shout your way past a closed-face helmet. Shop all Stilo helmets. If your child is into karting (what kid in his/her right mind wouldn't be? ), you want them well protected. 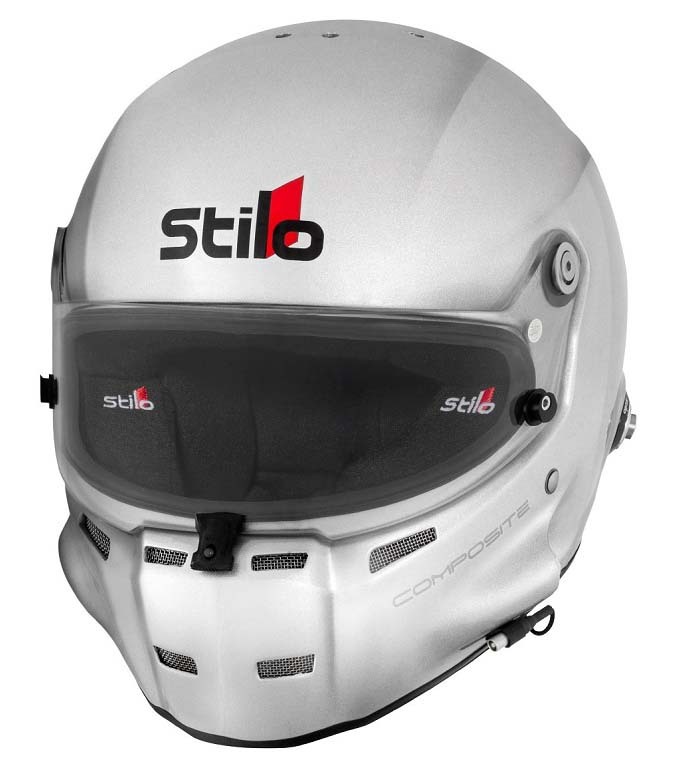 The great thing about the Stilo ST5 CMR is that it combines Stilo quality with lightweight. With karts easily able to pull 2G, this helmet can be like shaving 2 lb. from your kid's neck. They'll thank you later. Shop all Stilo helmets.